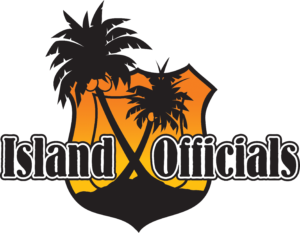 Island Officials started as a ‘basement project’ and eventually launched into a fully operational game development and web design studio. The studio started in 2007 with Morrison and his partner, Ryan Harbinson and quickly expanded into a co-op studio of more than 20 members. Morrison has led both management and creative teams at Island Officials in the development of more than thirty games and applications and hundreds of websites. Alongside Island Officials, Morrison was a software engineer at Vencore (formerly The SI Organization, Inc and formerly part of Lockheed Martin), is the lead instructor, and visionary, of the Game Design & Development AAS program at Camden County College, Co Owner/Operator of Tiki Tiki Board Games, and is the creator and co organizer of SJ Geekfest. From 1993 through 2008 Morrison’s involvement in the game industry was focused on multi-unit, specialty and big-box retail business development. During this time Morrison worked with companies such as Blockbuster Video, Funcoland, Gamestop, Toys R Us and GameCrazy. Morrison is a member of the Philadelphia Chapter of the IGDA (International Game Developer’s Association) and is also the founder/advisor for Camden County College’s Game Design Guild. Morrison has been a Trustee for Main Street Woodbury Inc., a trustee for the FAF Coalition and the Chair for Woodbury Heights Community Center and sits on the board for the Computer Graphics Department at Camden County College. 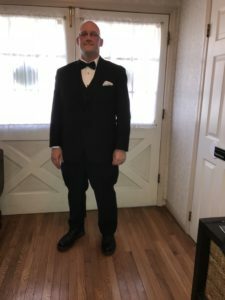 His educational background is in Media Design and Art from Gloucester County College (RCGC) and The Art Institute of Philadelphia and a Bachelors Degree in Multimedia Design from Wilmington University. He is currently enrolled in a Masters program for Educational Technology also from Wilmington University. 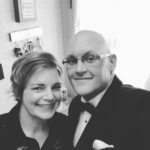 Additionally Morrison has been married for nearly twenty years to his best friend Kristina and they have two children, Gabriel & Grace and live in Southern New Jersey. His interests span a lot of geek culture and is an avid comicbook and graphic novel reader and collector. Video games have played a large part of his free time from childhood to present day as well as board games being a major back drop in his life. He enjoys traveling for work and play.